Outputs: Master Out: 2x 6,3 mm Mono-Jack (L/MONO, R); 2x XLR (L, R, balanced). Direct Out: 8x 6,3 mm Jack (TRS, balanced). Headphone: 1x 6,3 mm Stereojack, 1x 3,5 mm Minijack. Please note: ATTENTION! Delivery without pedestal, snare stand and hi-hat stand! Roland has launched two new flagships on the market, TD-50KV and TD-50K which are distinguished by their incredibly authentic feel and sound. The heart of the TD-50KV and TD-50K is the TD-50 sound module. 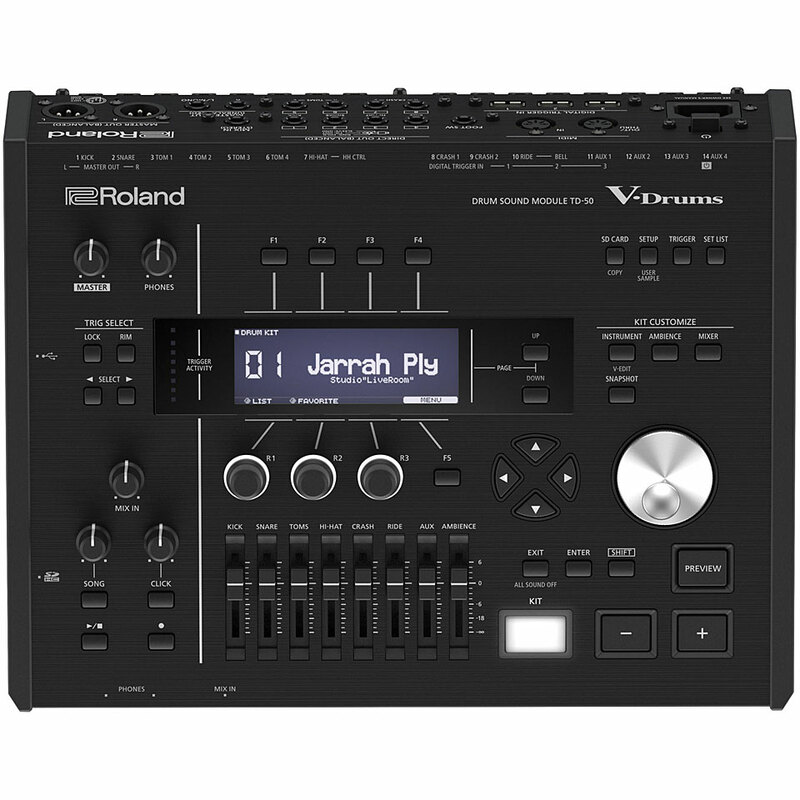 This works with Roland's own Prismatic Sound Modeling technology which accurately records every stroke and touch of the pads and cymbals and reproduces this with high accuracy. This produces an electronic drum sound which is very close to the acoustic set. The Roland V-Drums offer a wide range of E-Drums, Drum modules and matching electronic percussion. Principal components of the V-Drums are the electric Drums. These vary in terms of price and complexity. Accessories such as individual pads, percussion pads, cymbal pads (E-Cymbals) Cymbal bags for E-Cymbals, Triggers, brackets and hardware such as Cymbalstands and modules are also available separately. 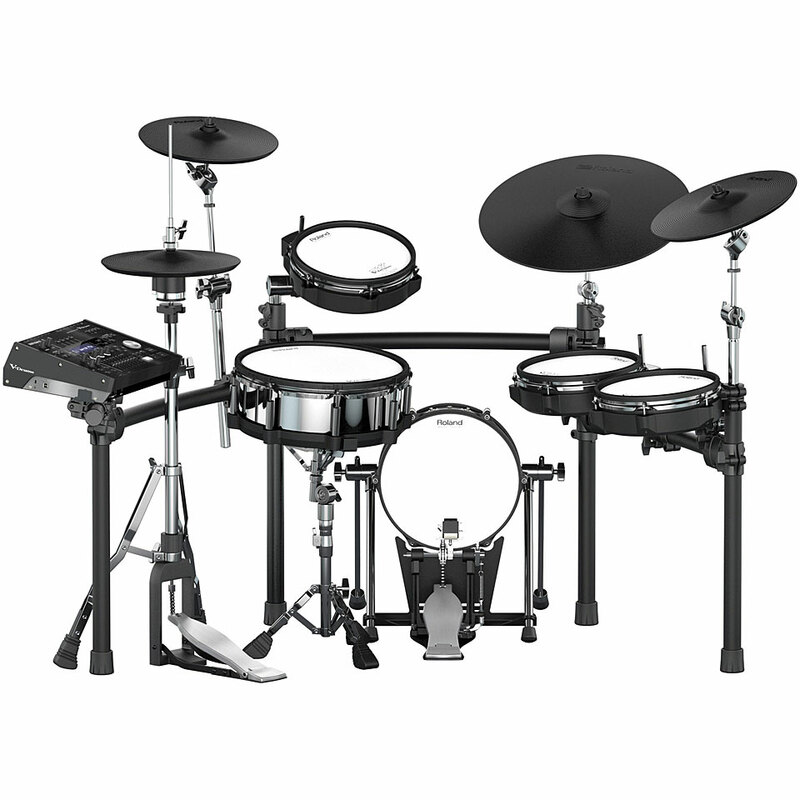 Like most electronic drum modules the modern V- Drums are MIDI compatible. This function allows the user to control not only his V-Drums kit with the module, but also other MIDI-compatible instruments such as Sampler. The other way around the V-Drums can also be controlled by other MIDI-compatible instruments. 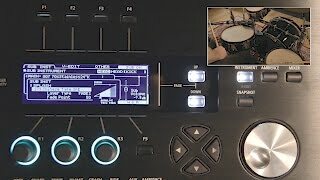 Like most e-Drums V-Drums can also be connected to a PA system or another amplifier or headphones and to recording equipment. · Show all articles of the brand Roland.